Acting Balanced: What's Cooking Wednesday - Avocados for Breakfast and Brunch! What's Cooking Wednesday - Avocados for Breakfast and Brunch! Which recipe would you like to try? I'm thinking the Avo Mango and Berry Smoothie is going on my breakfast menu sooner than later... Do you have any other avocado questions? Q: Are avocados considered a fruit or a vegetable? A: Avocados are considered a fruit. Q: How can you incorporate avocados from Mexico if you are following a specific diet? A: Fresh avocados fit a variety of different meal plans because of their nutritional content. Avocados are nutrient dense and are sodium and cholesterol free. They can be used in recipes to replace dairy and address lactose allergy or vegan lifestyle. Q: How do I know when an avocado is ripe? 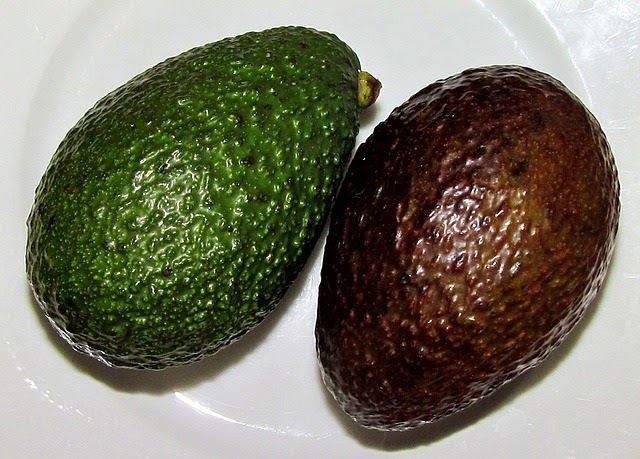 A: You can spot a ripe avocado from Mexico by its green-black pebbly textured skin. When you hold the avocado, it should feel heavy for its size and have no mushy spots. Avocados mature on the tree, but they soften and develop their fullest flavor after picking. You can count on a firm green avocado to ripen within three to four days. If the skin is a mottled color – green with black patches – it will be ready to use in a shorter time, two to three days. Q: How can I store an avocado? A: Whole avocados can be stored at room temperature in an area with good circulation to continue their ripening. For speedier ripening, keep avocados in a closed paper bag. To slow down ripening, refrigerate them until a few days before use. When saving part of an avocado for later use, cover the exposed flesh with plastic wrap to slow oxidation. Q: How do I slice an avocado? A: There are several different methods of slicing an avocado and even specific tools to do so. Personally, I like to slice the avocado straight down longitudinally. Then, twist it until it separates into two halves, strike the pit with your knife, and pop the pit from the center of the avocado halve. Q: Are avocados good for you? A: Avocados are nutritious and contribute good fats to your diet. One ounce or 3 slices of an avocado has 50 calories and contributes nearly 20 vitamins and minerals, making it a good choice to help meet nutrient needs. Avocados are also sodium and cholesterol free and using them in place of common “bread spreads” may help reduce your intake of saturated fat, sodium and calories. Q: How can I encourage my kids to eat healthfully and incorporate avocados into their diet? A: There’s nothing better than setting an example for your children – if your children see you eating and enjoying nutritious ingredients that you want them to eat, they are more likely to want to delve into the experience. Another tip I have to encourage kids to eat healthily is to make dishes that they can help assemble in a fun way so they feel that it is their choice to add those elements into a dish. Kids also love rolling, stacking, and dipping while cooking, so with that in mind, I love to use avocado in those formats. An avocado smoothie is a great way to give your children something that tastes delicious and is good for them.